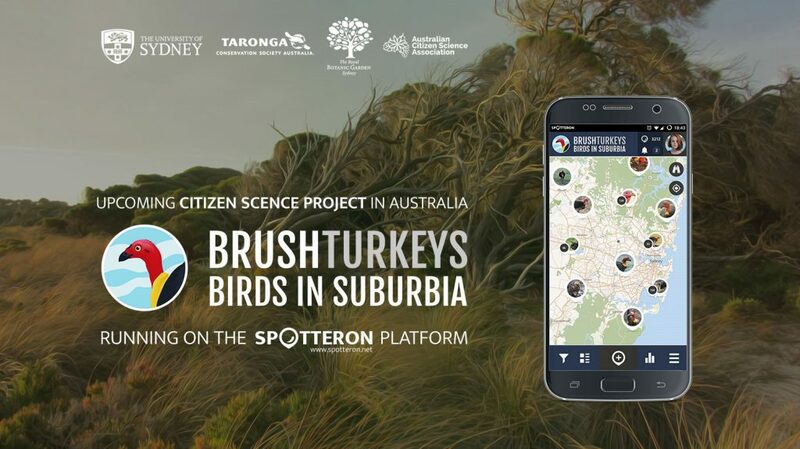 I’d like to start this post by saying how incredibly grateful I am to the Australian Citizen Science Association for this opportunity to engage with the citizen science community, as well as to Spotteron for the fantastic work they did in building this app. Working with Spotteron to design and roll out the BrushTurkey app has been a unique and rewarding experience for me. Throughout the process I have been impressed by Spotteron’s expertise and the potential for citizen science to contribute to the broader scientific understanding of my study species and Australian wildlife in general. 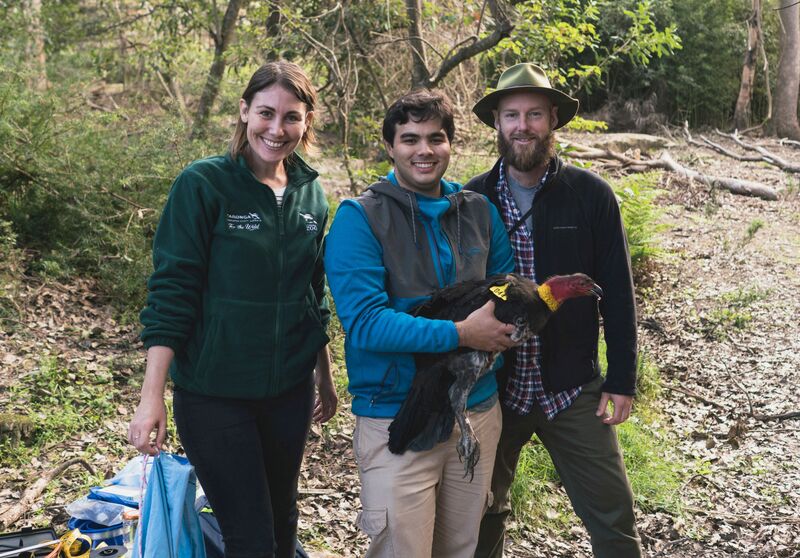 When I started my PhD, researching the spread of Brush-turkeys into the Sydney suburbs, I certainly did not expect that citizen science would play such a large role in my project. Amidst a flurry of grant application writing the ACSA Spotteron competition caught my eye. I decided, almost on a whim, that I would apply. I thought about how citizen science could best suit my project. What could I do if I had eyes all over Australia ready to gather data for me? I realised that researching Brush-turkeys in suburbia was a perfect fit for a citizen science project. Brush-turkeys have been causing a stir in Sydney and Brisbane precisely because they interact so closely with people. They’re digging in their gardens, building mounds in local parks, and roosting in and around peoples’ homes. What a fantastic opportunity to understand how wildlife adapts to city life by having citizen scientists around to observe every Brush-turkey movement and behaviour as it happens! What a great way to bring people and nature together by giving people a chance to learn about a native species right at their doorstep! So, I sent in my application, hoped for the best and got on with my research. I was stunned to find out my project idea had won the competition. Excited by the opportunity it wasn’t long before I was in contact with Philipp from Spotteron. One Skype call later and the wheels were in motion. Working with Spotteron to design the app was an interesting experience for me. 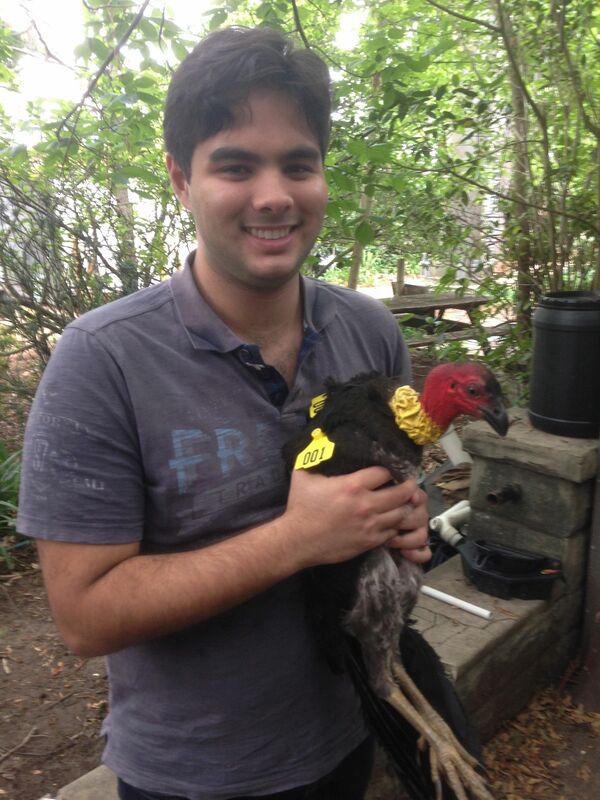 As an ecology PhD student, I knew how to catch Brush-turkeys and design experiments to learn about their behaviour. I knew next to nothing about how to engage with the broader community at large. Philipp’s expertise was invaluable here. Spotteron have experience in designing apps that people want to use, and balance detail with ease of function. I would throw out ideas about what kind of data to collect, or what aspects of Brush-turkey behaviour would be interesting to report, and Philipp would have a suggestion for how it should fit in the app – was it a text box or a button, a single option or a multi-select field? I sometimes found myself the middle man between my supervisors from partner institutions (The University of Sydney, The Royal Botanic Gardens Sydney, and The Taronga Conservation Society), who all had ideas and questions about the app, and Spotteron. But the end product satisfied all our needs and exceed our expectations. It has been really inspiring and exciting to see the response to the app. 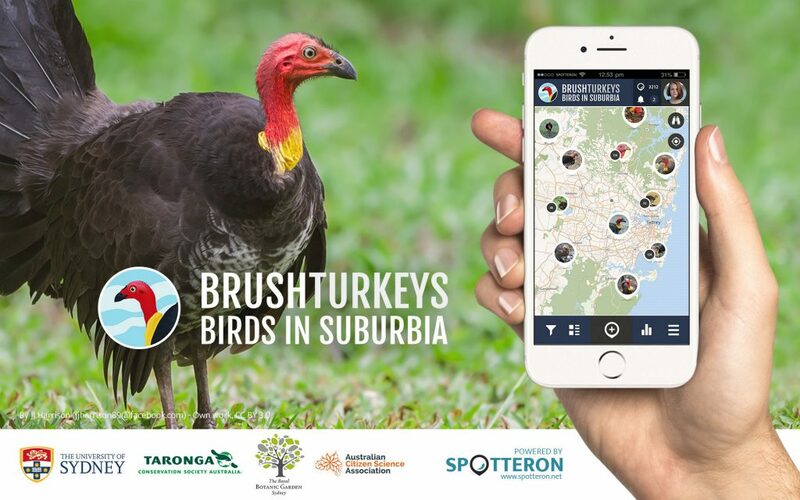 Within three days of the launch date the number of reports on the app already outstripped the number of Brush-turkeys I had personally tagged in the whole first year of my PhD. It really goes to show the potential of citizen science and including the general pubic in the process of data gathering. I can’t wait to see what we can learn about how this unique Australian species adapts to a changed world with this app. I’d encourage anyone who is interested to download the BrushTurkey app and start uploading sightings today. You can also read the Spotteron Blog Post about the app here.